Author: Evans, Jon Set In . . . Description: Veronica Kelly came to Africa to start her life over. Still reeling from her divorce, she is grateful when a handsome stranger invites her to join a tour to visit gorillas in Uganda's wild Impenetrable Forest. 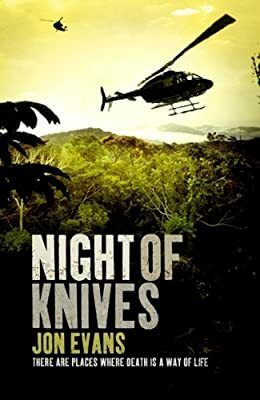 A trip that goes desperately wrong when their group is captured by brutal gunmen. Then one tourist is executed. This is no random kidnapping: their abduction is only the first move in a deadly strategic game. A game in which Veronica's ex-husband is somehow involved. The novel begins at speed, with a group of British, American and Canadian tourists trekking through the Ugandan jungle on a gorilla-spotting tour. By the time the page numbers reach double figures, the guards are dead and the tourists' apparently Congolese captors are marching them towards the Uganda-Congo border, where the plan is to hold them to ransom. Jon Evans is a novelist, journalist, adventure traveler, and software engineer. His novels have won an Arthur Ellis Award and praise from The Economist, The Times, and The Washington Post. His most recent book is the Vertigo Crime graphic novel The Executor. Jon has also written for Wired, Reader's Digest, The Guardian and The Globe & Mail, and he is a regular contributor to TechCrunch. He can be found online at www.rezendi.com.